Zaha Hadid’s pioneering vision redefined architecture for the 21st century and captured imaginations across the globe. Each of her projects transformed notions of what can be achieved in concrete, steel, and glass; combining her unwavering optimism for the future and belief in the power of invention with advanced design, material and construction innovations. Many architects are called on to create new projects that stand as symbols of social progress—but none delivered as regularly, as unexpectedly and as spectacularly as Zaha Hadid. Her successes were so consistent, she received the highest honours from civic, academic and professional institutions across the globe. Her practice remains one of the world’s most inventive architectural studios—and has been for almost 40 years. Born in Baghdad, Iraq in 1950, Zaha Hadid studied mathematics at the American University of Beirut before moving to London in 1972 to attend the Architectural Association (AA) School where she received the Diploma Prize in 1977. Hadid taught at the AA School until 1987 and held numerous chairs and guest professorships at universities around the world including Columbia, Harvard, Yale and the University of Applied Arts in Vienna. 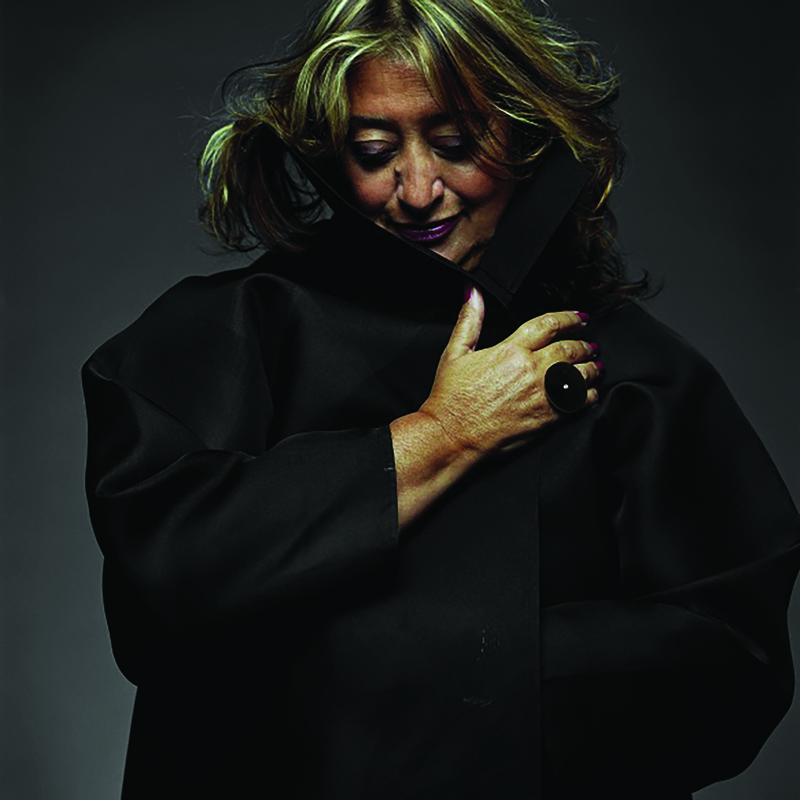 She founded Zaha Hadid Architects in 1979 and was awarded the Pritzker Architecture Prize (considered the Nobel Prize of architecture) in 2004. Experiencing Hadid’s architecture yields an understanding that the quest for beauty alone was not her modus operandi. Her buildings are beautiful—and beauty may account for their seductive urban presence, for their hold on the eye—but the beauty and virtuosity within her work is married to meaning. Her architecture is inventive, original and civic, offering generous public spaces that are clearly organized and intuitive to navigate. As they open, each of Hadid’s buildings takes its place in architectural history for its virtuosic construction, its architectural ideology, and its sheer magnetic presence. Her designs are the embodiment of an enlightened philosophical framework and principled discipline. Her clients commissioned buildings, and Hadid met the programmes, but she also exceeded each brief and delivered the shared aspirations of a new generation. Zaha Hadid’s work was the subject of critically-acclaimed exhibitions at New York’s Solomon R. Guggenheim Museum in 2006, London’s Design Museum in 2007, Saint Petersburg’s State Hermitage Museum in 2015 and London’s Serpentine Galleries in 2016. Hadid’s outstanding contribution to the architectural profession has been acknowledged by professional, academic and civic institutions around the world including the Forbes List of the ‘World’s Most Powerful Women’ and the Japan Art Association presenting her with the ‘Praemium Imperiale’. In 2010 and 2011, her designs were awarded the Stirling Prize, one of architecture’s highest accolades, by the Royal Institute of British Architects. Other awards include UNESCO naming Hadid as an ‘Artist for Peace’, the Republic of France honouring Hadid with the ‘Commandeur de l’Ordre des Arts et des Lettres’, and TIME magazine included her in the ‘100 Most Influential People in the World’, naming her the world’s top thinker of 2010. Zaha Hadid was made a Dame Commander of the Order of the British Empire by Queen Elizabeth II in 2012, and in February 2016, she received the Royal Gold Medal. Zaha Hadid passed away on the 31st of March 2016.